This ambitious concept and elaborate package (two CDs/a DVD/booklet in the gatefold sleeve) should certainly attract attention -- although some questions hang over it. Essentially the project of music producer and sound recorder Patrick Sebag and Yotam Agam with director Harold Montfils, it involved a crew going to the tsunami affected regions of Asia to film and record local musicians there. Some of that footage -- plus location shots of beaches, fishing boats, villages and the like -- is in the DVD. The music -- plus other tracks written and recorded by Sebag and Agam in keeping with the local styles -- make up the two discs. All well and good, and some of the traditional music is utterly magical and moving. But somewhere in the liner notes I expected to read that a portion of the profits (or something) would be going back to these people to help them rebuild their lives. I couldn't find any such mention other than that the project "is a personal and collective tribute to the resilience of the human spirit, and is dedicated to the survivors" of the tsunami. There's also a lengthy piece warning that it can't be downloaded, streamed and so on. Okay, not everything has to be work of charity so let's accept that. 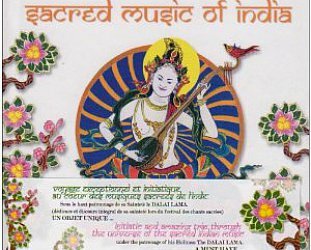 The two discs of music are quite beguiling as musicians from India, the Maldives, Thailand, Myanmar and Indonesia weave their particular magic. But beneath this music Sebag often layers in swathes of synths as some kind of mystical or evocative soundbed. Frankly much of the music hardly needed this kind of Deep Forest treatment. And his original music also works that kind of evocative new age exoticism. The DVD is slightly more problematic: the music recorded on location has been swept off to the studio and buffed up, had the synths added, then put back with the images. The result is a weird dislocation between what you see and what you hear. What looks gritty and with dirt under its fingernails (musicians sitting in a circle in village clapping and singing) comes off sounding like it has been polished and manicured. Much of the feel for the locations, the people and their music has been lost while trying to serve another master, that of commerical reality perhaps. These serious misgivings aside, this is really quite some project and the other night our Thai neighbour was over and we had to replay some music and footage a few times while he got quite moved. And to be absolutely fair there are some tracks where the remixing really has enhanced the music. So a slightly mixed bag which at its worst might make you cringe, but at its best will make your spirit soar. World fusion horror? 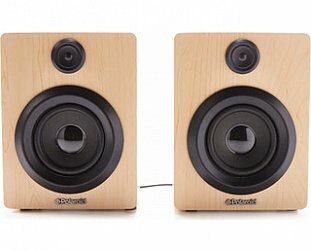 Where are the original field recordings?